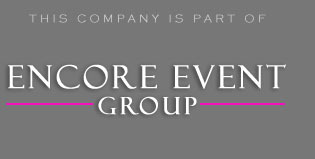 Encore Party DJs was invited to DJ entertain the MAC’s Madison Heights company holiday party. This was our second time in a row taking care of this Michigan athletic club. What I really like about repeat clients is that fact that you get to know them and their guests. Eventually, you get on a first name basis with them. This really helps to establish rapport and get the party going. The clients held the party in the basement of their house. They make it very formal, by hiring off site catering staff and several bartenders. What kind of party would it be with Encore Party DJs entertainment services. Our team was invited to help create an atmosphere that both the employees and spouses would enjoy. We had to wait until the food was finished being served until we could open up the dance floor. In the mean time we made sure to play a nice mix of Christmas music. Now this isn’t just your regular type of disc jockey music. We use a specialized song list of remixed classics. It helps to give a modern vibe to a classic tradition. After the catering staff finished cleaning up, we wasted no time in getting the party going. One of the best ways to break the ice with guests is to include contests or crowd mixers. It was a great time, we did the traditional holiday activities and games to get guests and co-workers in the spirit. Since it was an adult audience, the client had no problem with doing less conservative activities. We held a dance off, had contestants dress up as Christmas trees, even did something that we call the newspaper dance. This is were you have 2 contestants and a newspaper. Their newspaper is their dance floor. Every time the song changes the contestants have to fold their dance floor in half. The goal is to remain on the dance floor as it gets smaller. To make things more interesting we will also speed up the music. This is truly a Kodak moment! Once the festivities were over, we got right into the music. All I can say is that we had everybody dancing to a nice mix of music. We even got Marvin one of the people at the club on the microphone and he sang a capella to serenade his wife! I love working with groups like this, they tend to be a little more spontaneous than events like wedding receptions we DJ. We know exactly what you need to rock your event from the very beginning to the very end. You can check out more about how we bundle our DJ packages and save you money by clicking the image below.